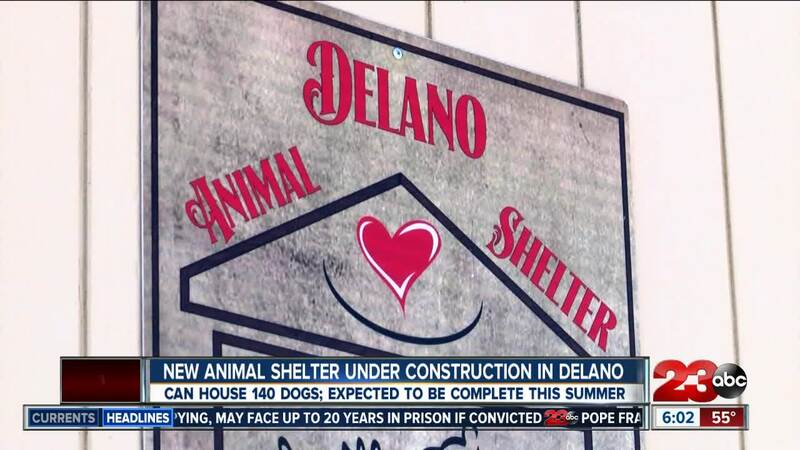 DELANO, Calif. — A new animal shelter is under construction in Delano. Mayor of Delano Joe Aguirre said it's been in the works for about five year and thanks to recent funding from Measure I and other additional funding, the facility is now under construction. The former building housed 28 indoor and 14 outdoor kennels, and the new steel facility will have 96 kennels that could hold up to about 140 dogs. Currently, only dogs are planned to be housed but officials say they're hoping to change that. Mayor Aguirre said Delano is known for their stray animal problem, so this is a step in the right direction for overall well-being of locals and animals. "People like to walk people like to jog people like to ride their bikes. The last thing they want is some large or small animal running after them down the block," said Aguirre. The new animal shelter is located at 1525 Mettler Avenue in Delano and is expected to be finished by summer 2019.